Tomorrow I leave Oman. Its coming rapidly, but I'm filling my time with as many things possible. 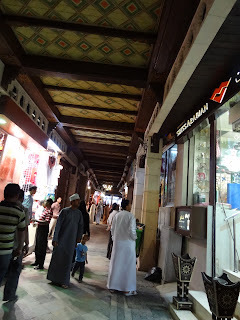 Today I went to the Souq with my host family. It was nice having my host sister there especially, because otherwise the salesman would've eaten me alive! That is, I'm an obvious foreigner, and they would've charged me twice as much for everything. I will ask her tomorrow.